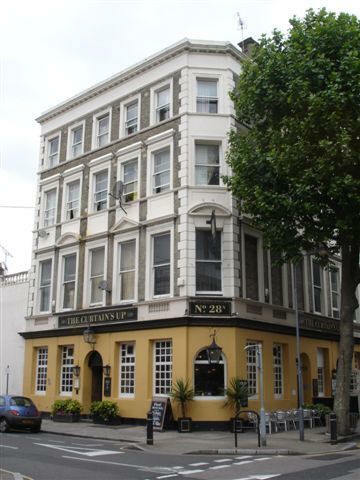 This pub was built as the Admiral Palliser in 1878 and re-named the Barons Court Hotel in 1879. It is now a theatre bar and was re-named Curtain's Up in 1993 (2007). ** A Youngs pub in 2017.